Stainless steel is a hardy metal that is not prone to scratching. Its tough nature makes it a common metal used in watchmaking. Although it is not prone to wear, dirt can build up on the exterior surface, especially where the band touches the skin, causing the steel to lose its shine. 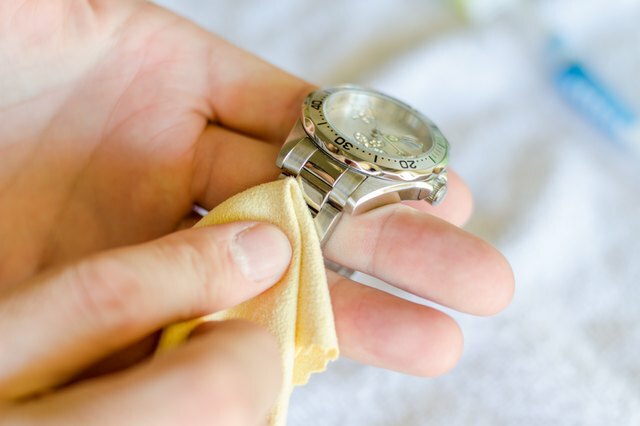 Fortunately, with a few household items and regular cleaning, you can remove the grime and keep your watch looking new. Rub the surface of the watch with a soft cloth to remove dirt. Often, grime will collect in crevices in the band and around the watch face. If this is the case, use the dry toothbrush to reach into the spaces and dislodge dirt. 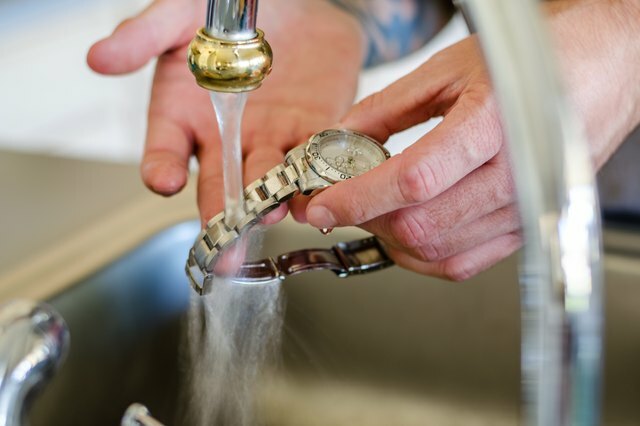 Apply glass cleaner to a cloth and thoroughly rub all sides of the watch face. Or, for a more natural approach, use plain white household vinegar. Dip the brush into the glass cleaner and scrub the band on the top and bottom. Wipe clean with the cloth. If the watch band is removable, pour glass cleaner into a cup. Remove the watch band from the face, and place it in the cleaner. Let soak for fifteen minutes. 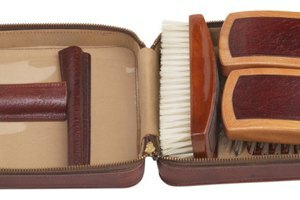 Remove the watch band and scrub with brush. Rinse the watch band with water, being careful not to let it touch the watch face if the band is still attached and the watch is not water resistant. Apply a small amount of water to the cloth, wring it out and wipe the face clean. 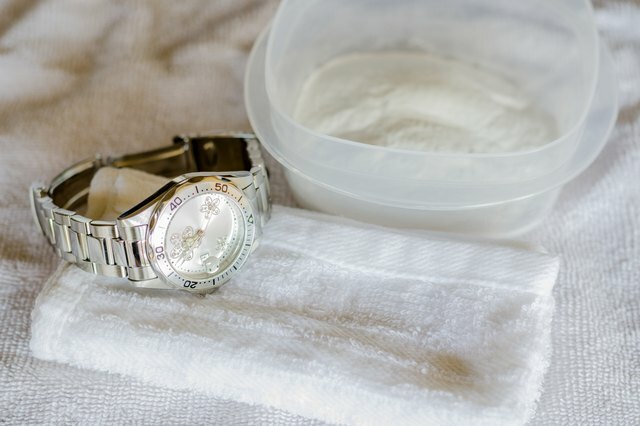 If Steps 1 through 3 are not sufficient, apply a small amount of baking soda to a wet, clean cloth and rub directly onto the band, avoiding the watch face. Rinse the watch band thoroughly, and wipe it dry with a cloth. 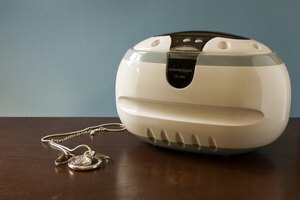 If you would prefer to purchase a product to clean your jewelry, use a product that specifies it is made for stainless steel jewelry. 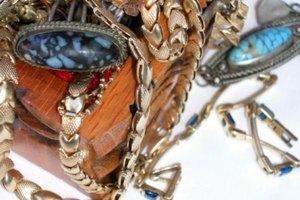 If scratches remain on your jewelry after cleaning, a jeweler may be able to buff out the scratches. Never apply a chemical such as bleach to stainless steel, as it can produce toxic fumes.